A Familiar face in Canadian Junior Hockey League circles will have even more responsibilities now. Kevin Abrams, who is in his 12th season as commissioner of the Central Canada Hockey League, was officially appointed as the CJHL’s Chairman of the Board earlier this month. Abrams replaces Kirk Lamb, a Calgary lawyer who stepped down from his position this past spring. Lamb had previously served as the CJHL’s chairman as well as its president. In the spring of 2016, he announced he was relinquishing both positions. He agreed to stay on as chairman this past season when Brent Ladds, the former president of the Ontario Hockey Association, took over the CJHL’s president role. “I’m pleased to help out any way I can,” Abrams said of his new title. Though he was only officially introduced as the Chairman of the 10-league CJHL in September, Abrams said he was given the title this past May. This occurred during the CJHL’s annual general meeting held in Cobourg, Ont. Abrams will serve as the CJHL’s Chairman for a two-year term. He said an announcement was not made earlier as CJHL officials were trying to determine who would round out its executive for the current term. Kim Davis and Marty Savoy, who are the commissioners of the Manitoba Junior Hockey League and the Ontario Junior Hockey League, will serve as the CJHL’s vice-chairs. And Bill Chow, the commissioner of the Saskatchewan Junior Hockey League, has been named as the CJHL’s treasurer. Another reason for the delay in announcing news of the CJHL executive is because the league now also has four standing committees who will oversee operations, governance, competition and events. The commissioners of the 10 leagues comprising the CJHL have taken on roles for these committees. Like himself, Abrams said all of the commissioners are already busy looking after matters within their own leagues. “One of the things we want to do is engage the 10 representatives a little bit more now,” Abrams said. Abrams added he’s unsure exactly how much of a time commitment his new position will be. The CJHL features a total of 132 clubs in its 10 leagues spread out across the country. Squads vie to win their own circuits before heading off to regional tournaments. 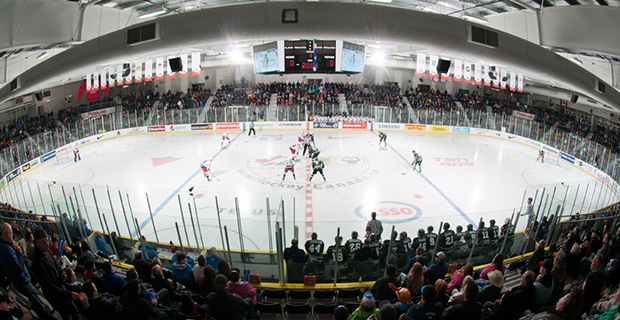 The CJHL annually culminates its season with the RBC Cup, the national Junior A championship. The 2018 RBC Cup tourney will be staged next May in Chilliwack, B.C. Abrams, who lives in Pembroke, Ont., has been involved with junior and pro franchises for more than 30 years. During the ’90s he served as an assistant coach with three Ontario Hockey League franchises, Kingston Frontenacs, Sudbury Wolves and Belleville Bulls. His resume also includes coaching the Waco Wizards and the Amarillo Rattlers in the defunct Western Professional Hockey League. Abrams has also owned, coached and managed Junior A teams in Kingston, Smiths Falls and Pembroke.